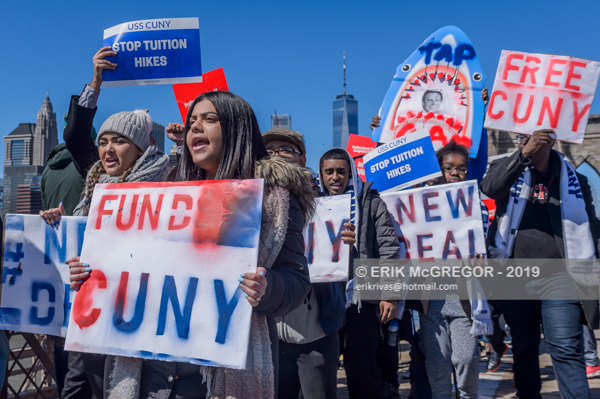 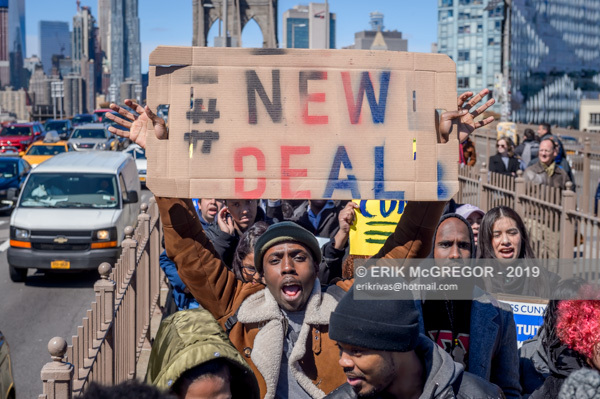 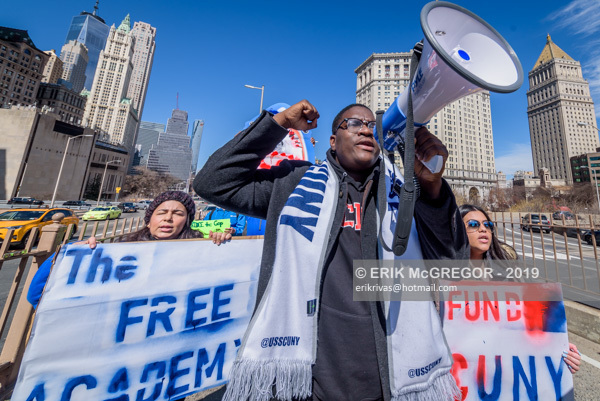 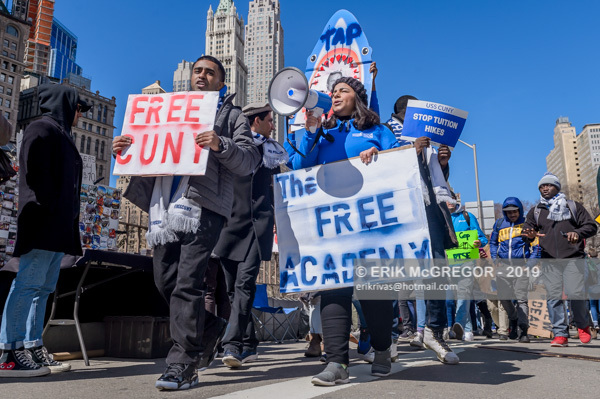 New York, NY – The University Student Senate (USS) of the City University of New York (CUNY), students, faculty, staff, community partners, concerned New Yorkers, and elected officials held a rally and a press conference outside the City Hall gates on March 23, 2019, calling on the state to invest in CUNY in their final budget for the fiscal year. 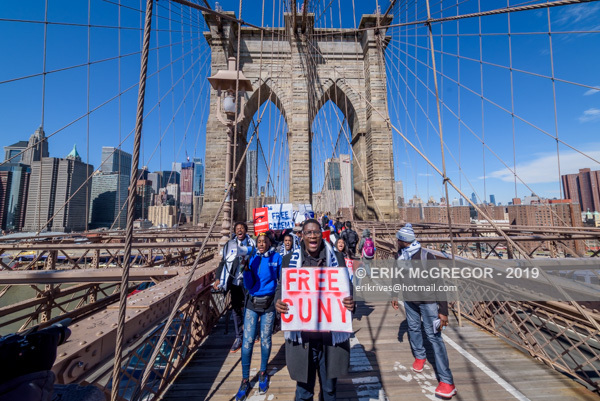 The rally was followed by a march across the Brooklyn Bridge, culminating at the steps of Brooklyn Borough Hall. 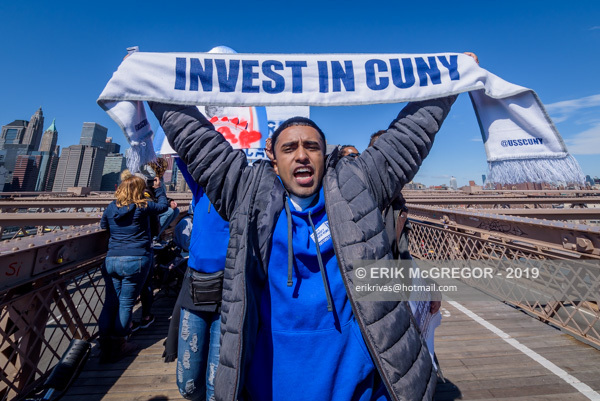 This march is a call to action for lawmakers to rectify the trend of increased divestment in public higher education and maintain the state’s commitment to ensuring an affordable, accessible, and excellent higher education for all. 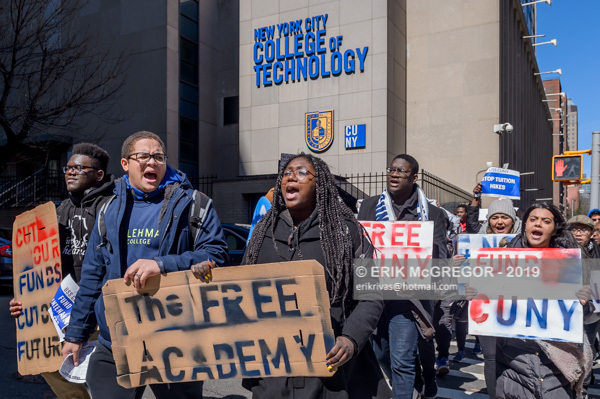 We call on lawmakers to commit $32 million to reinstate a Tuition Freeze for public colleges, $74 million to fill the TAP Gap, and further investment in the expansion of opportunity programs and support services, as well as equitable contracts of 7K for CUNY faculty and staff. 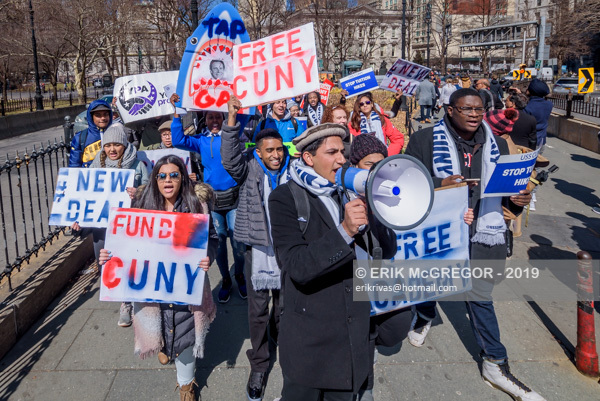 The March in March was first established by the CUNY University Student Senate in 2016 to fight for the restoration of a proposed $500 million dollar cut to CUNY’s budget. 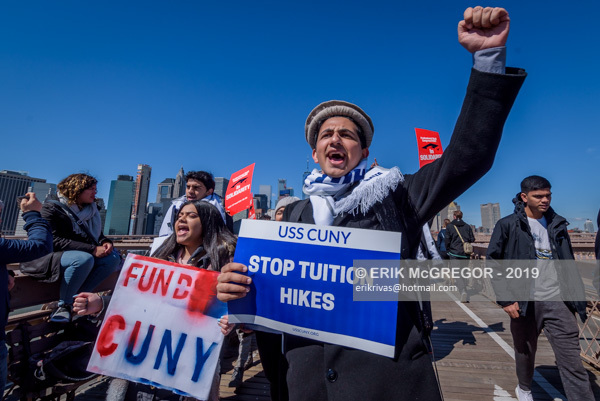 As a result of USS and community partners’ efforts, the cut was restored and a Tuition Freeze was won for CUNY schools.